The St. Louis Blues have signed forward Patrik Berglund to a five-year deal worth $19.25 million, the team announced Friday. The new contract carries an average annual value of $3.85 million, which is an upgrade on Berglund’s current three-year contract worth $11.1 million. He’s in the final year of that deal and could have become an unrestricted free agent this summer. The 28-year-old Swede has 17 goals and seven assists in 60 games this season, with two goals on the power play. He’s somewhat returned to normal form after a slow start in which he scored just one goal in his first 30 games. He has 16 goals in his last 30 games. Berglund was drafted by the Blues in the first round of the 2004 NHL Entry Draft and he’s remained in St. Louis ever since. His best season to date was in 2010-2011, when he put up 52 points in 81 games. He also scored 21 goals in 2008-2009 and seems on pace for similar numbers this season. 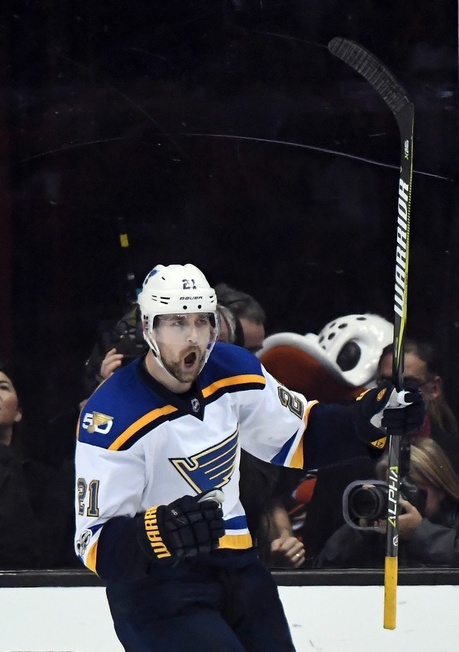 Berglund has been in the midst of trade talks for a while now, so the new contract will calm things down as the Blues work on trading defenceman Kevin Shattenkirk. That’s a good thing for a team looking to maintain their position in the playoff hunt. Next What Will the Blues Do with Kevin Shattenkirk?